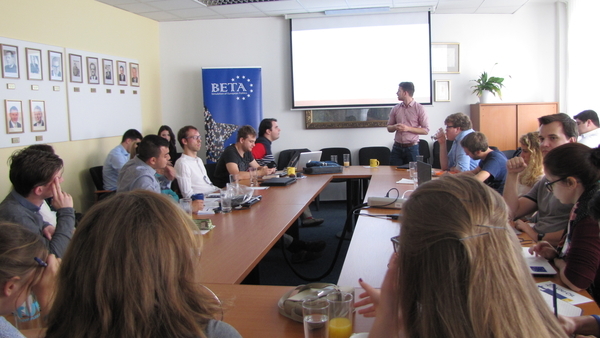 The MEU Symposium, which took place between the 20th-23rd September 2018 in Prague, Czech Republic provided the unique opportunity to bring together the members of different BETA branches, partner organizations and all those individuals who were interested in learning more about how to organise educational programmes in a way that empowers and motivates people to cooperate together. 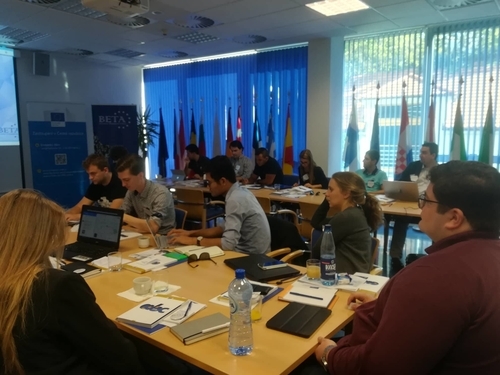 Through presentations and workshops held by experts, the participants had the chance to discuss different aspects of organising #ModelEU simulations and other educational events while being trained on how to achieve. Further discussions included future prospects and ideas on how to improve the #MEUniverse. Besides sharing their knowledge, the participants also had the chance to network with other European organisations, enabling to inspire each other and gather ideas on how to develop further. The Symposium event was special in its sense of inclusiveness. 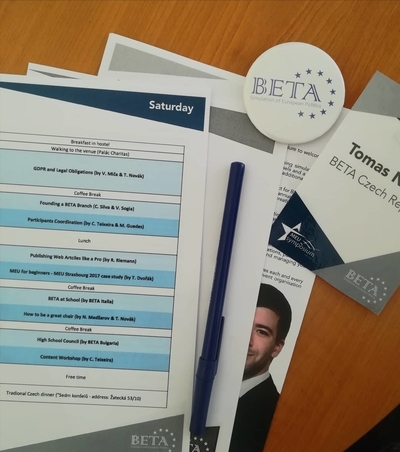 Besides not setting a registration fee, the costs of accommodation, venue and meals were all covered by BETA Europe, thus making it possible for many more people to attend the event. The 3-day long event started with a warm welcome and introduction to the structure of BETA. The presentation about different aspects of communication such as mailing lists, closed groups and wikis was followed by a detailed explanation of the functioning of liaising with the EP and Erasmus +. Furthermore, there was a greater focus on the presentation of sexual harassment too. The introductory day was closed with group photos and a wine social event in the evening, where the participants had the chance to get to know each other in an informal setting. 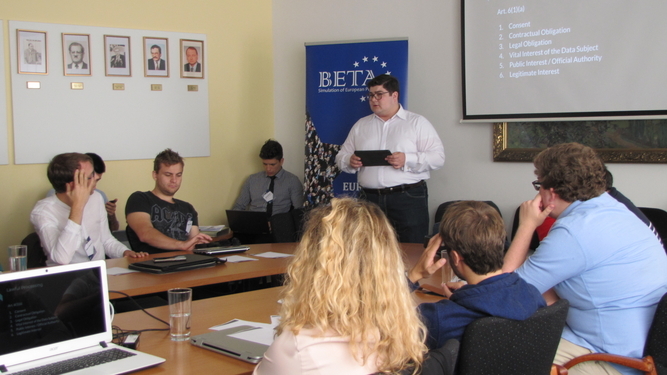 The second day started with a discussion on GDPR and other Legal Obligations, which was followed by presentations on how to found a BETA branch and how to deal with the coordination of participants. Talks and workshops on publishing web articles, what content to include and how to be a great chair took place as well. Moreover, the role and activities of BETA on an earlier stage, at High School was presented by some of the BETA branches too. The official programme ended with a traditional Czech dinner. On the final day of the Symposium, organisers and member of BETA met up within the confines of the BETA Europe General Assembly. Events like a Symposium have crucial importance in terms of making people aware of the possibilities and functioning of educational events like Model EU. 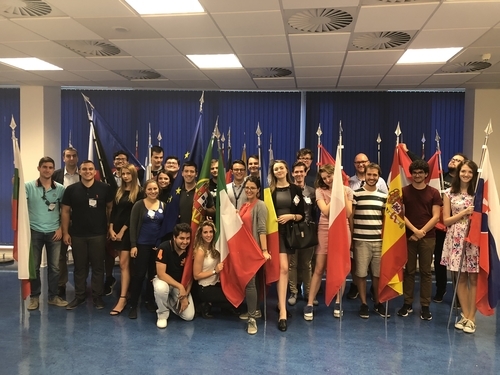 Bringing like-minded people together and connecting them to different organizations raises wide cooperation within Europe and contributes towards developing a sense of shared identity and belonging. Such events contribute to the shaping of the future of Europe too. For this reason, it is crucial to support the organisation of similar events as Symposium and Model EU simulations. Besides transferring knowledge and expertise in an interactive way, participants benefit from accessing a platform, where they have the chance to network with people not only from Europe but even from other parts of the world too. The more detailed programme of MEU Symposium can be found under the following link!